Tudor’s Fastrider 42000CN is a stunning piece of craftsmanship. It has a black ceramic case and a fixed black ceramic bezel which displays a Tachymeter. 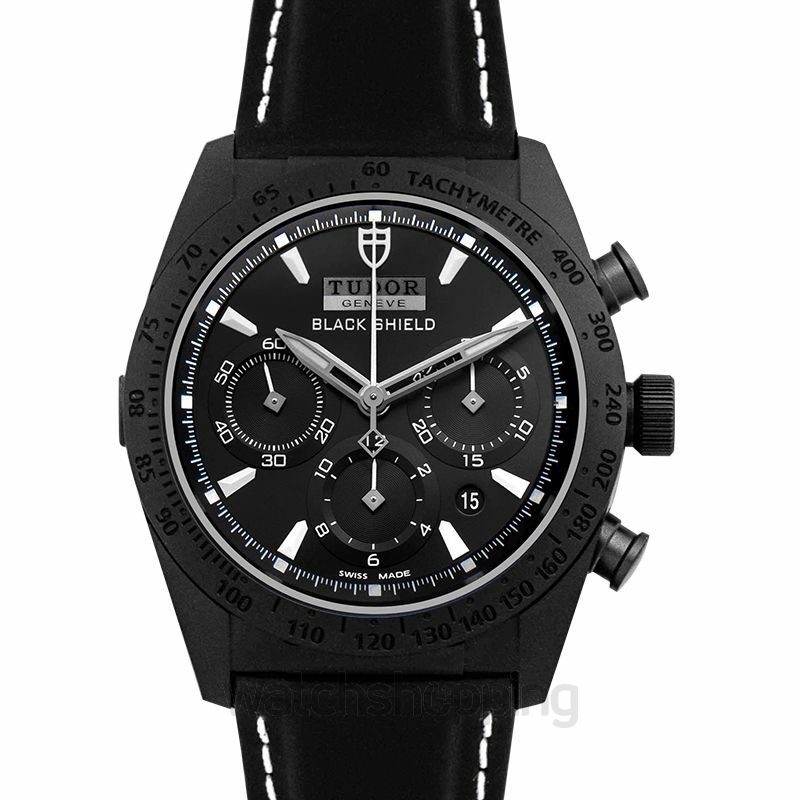 The dial of watch runs with the theme and is also black with steel grey index markers and hands. It showcases the date between the 4 and 5’ o clock mark and has three additional subdials. The straps of this Tudor watch are made from black leather and give the watch a striking look.